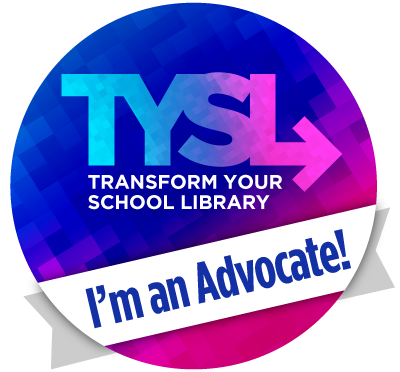 Last week, one of the middle school librarians in my district, Irene Kistler (@irenekistler) and I were talking about how fun it would be to have the students in our district be able to chat and share via twitter. She had been tossing around the idea after seeing a tweet from New Zealand . We decided to make it easy since it was our first time and the week we came back from spring break. We had 2 questions. Q1: What did you read over spring break? Q2: What did you do for fun over spring break? Irene had a form that the students could fill out and then bring to me to get approved. Then I took them to the computer and let them tweet. I had the chat up all week on my Smartboard in the library and the students were thrilled to see their tweets pop-up on the screen. We also wanted the students to be able to give a shout out to a teacher, so we added that as a 3rd response on the form. Not all of my teachers are on twitter, so I emailed the tweet to them if a student mentioned them. Irene and I let the other librarians in our district know about this and some of the G/T teachers. As a matter of fact, one of our G/T teachers, Terri Eichholz (@terrieichholz) wrote about how she used this idea in her classroom here. It was fun to go through and read the tweets from different campuses. The part that I was missing though, was the students being able to read and respond to others' tweets. Irene had a great idea to have a week of questions and then a week to be able to read and respond. We are in that process now, so it will be interesting to see how that turns out. 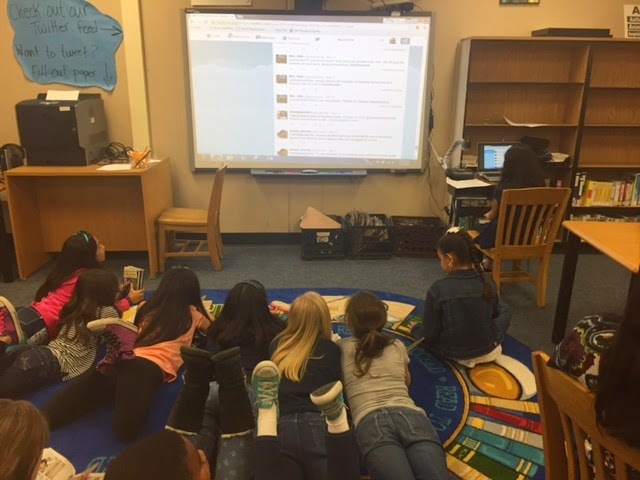 Today, some of our 4th grade students that were in the library during checkout had the opportunity to participate in the #stu2stuchat set up by Sandy Otto (@sandyrotto). I had seen Sandy publicize this post over the weekend and made a note to check it out. I happen to have 4th graders checking out at that time so I called a few over to check it out and a few turned into more. A couple of our students tweeted, but they really enjoyed seeing what other students were reading. We have plans to join the next #stu2stuchat on April 8th. I love that we are venturing in to connecting our students and letting them see things outside the walls of our school.